An all-electric Tesla SUV tows a Boeing 787-9 Dreamliner. Ever think you'd see a car tow an airplane? NEVER has a passenger airliner been hitched to an electric passenger vehicle for towing. Well at least until now. A post on the Qantas website said: "While the Model X can accommodate up to seven passengers, far less than the 236 people on a Qantas Dreamliner, the Tesla punched above its weight towing the 130 tonne 787 well above its on road tow rated capacity of 2.5 tonnes." "It's not the first time that we've used an electric vehicle to tow a Qantas aircraft. We're already using electric aircraft tugs at Sydney and Canberra. It's part of our plan to reduce greenhouse emissions. 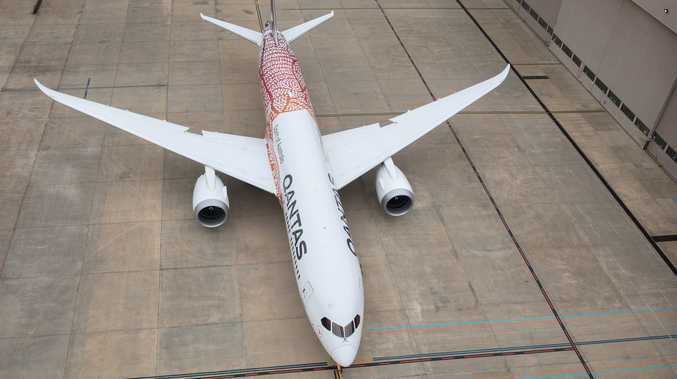 "With more than 10,000 pieces of Qantas ground services equipment like catering trucks, aircraft loaders and other vehicles all running on diesel, even just a small shift to electric power will have an enormous impact in the move to a sustainable future."